Australian bowlers had to toil hard as India finished at 215-2 with Kohli (47) and Cheteshwar Pujara (68) remaining unbeaten at Stumps. 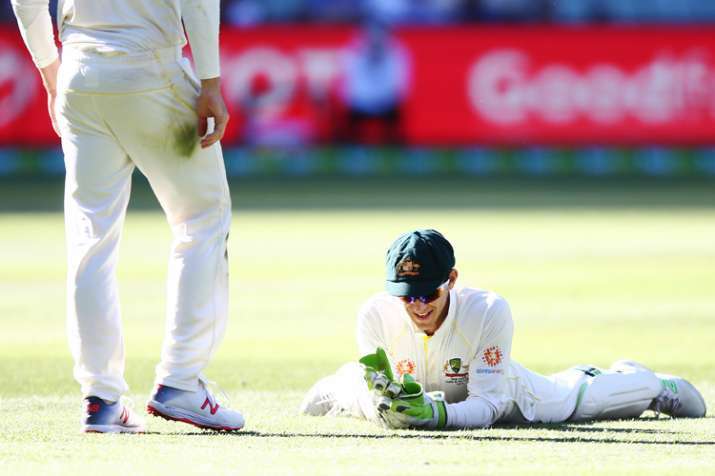 Tim Paine reacts after dropping Kohli's catch during Day 1 of the 3rd Test. Australia were disappointed to miss out on the prized wicket of Virat Kohli on a tough opening day of the third Test, said Travis Head, stressing on the need to make the still-hard Kookaburra ball count on the second morning. Kohli was dropped on 47 by Australian skipper Tim Paine during Mitchell Starc's brilliant over towards the end of the innings. "... the best over today was from Starc. Beating Kohli inside and outside, that new ball hopefully can come out and do that tomorrow again. It was disappointing to leave that chance but it happens," Head said on Wednesday. Australian bowlers had to toil hard as India finished at 215-2 with Kohli (47) and Cheteshwar Pujara (68) remaining unbeaten at Stumps, following Mayank Agarwal's 161-ball 76 on debut early in the day. "We would have liked to have 4-5 wickets tonight, but it is a massive morning and if we can still get them down two wickets in the morning, it will be good while the ball is still reasonably hard and a couple left-handers coming later on," he said. "Hopefully as the game goes on we will get more spin, but we have been able to restrict a lot of runs today even though we didn't get the wickets we would have liked. It makes for an exciting morning and momentum can change." Head said the bowling unit did well to restrict the flow of runs on a grinding day and hoped they can continue in the same vein Thursday. "Yeah, it was a tough day. A grinding day of Test cricket and they batted well. We created pressure and we have seen for the whole series there hasn't been high run rate for the day," said Head. "It makes for another massive morning tomorrow to create pressure and make sure we bowl tomorrow the day we did today. I thought we restricted India in trying conditions," he added. Head also lauded Pat Cummins for his two-wicket haul on the opening day. "Cummins led from the front and got two wickets for us. He bowled hard and aggressive, used his bouncer well, and extracted something from the wicket. And he put pressure on Indian batsmen all day," he said. The pitch at MCG came under scrutiny once again for a lack of general aid to the bowlers and Head said they need to wait and watch how it goes through the next four days. 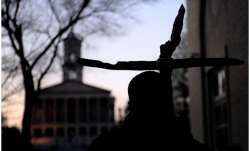 "I thought it would offer a little bit more than it did in the first couple of hours. We thought it would offer more life leading into it. If you hit the wicket the pacers were able to get some pace off it but in other parts, they weren't able to," he said.